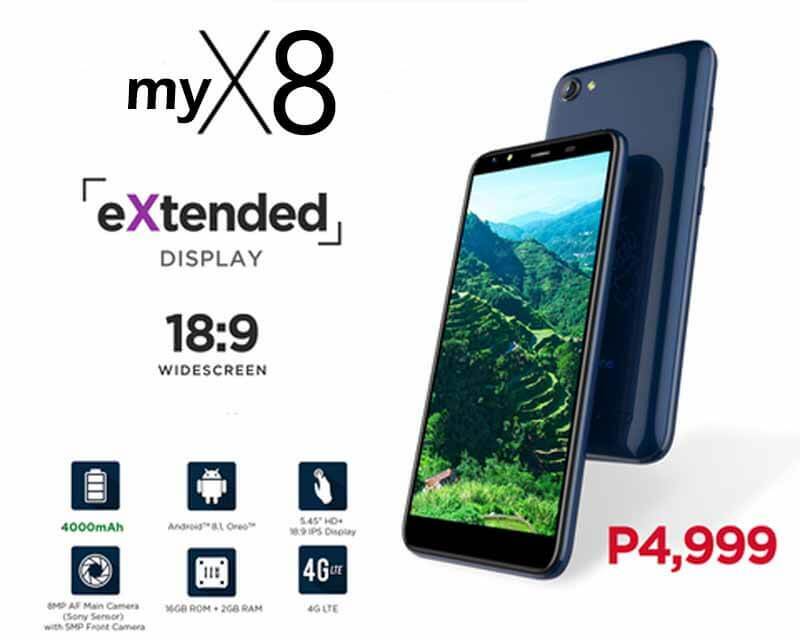 Early this month MyPhone announced their latest smartphone MyX8 that mainly features extended display (18:9 wide screen) and long lasting battery. For the introductory price of ₱4,999.00, you can already own this 5.45 inch phone with an HD display resolution that runs on Android 8.1 Oreo mobile operating system. It is powered by MediaTek MT6739 qua core processor clocked at 1.25GHz paired with 2GB or RAM to handle the multi-tasking part of the device. For the storage, you will have 16GB of ROM where you can save all your favorite apps, photos and files. It is also expandable up to 64GB using a microSD card for additional storage space. Here’s all you need to know about MyX8 specifications and features. Aside from that, you can also register and activate your virtual ID on the Pinoy App to enjoy special discounts and privileges from MyPhone merchant partners. It also includes pre-installed MyPhone software like Pinoy App, Agila and Brown and Proud portal. It’s now available nationwide, just visit your nearest tech and gadget store to inquire for availability.